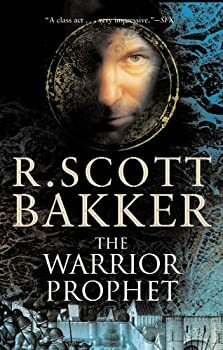 Richard Scott Bakker is a Canadian fantasy author. He grew up on a tobacco farm in Ontario. In 1986 he attended the University of Western Ontario to pursue a degree in Literature and later an MA in Theory and Criticism. After nearly completing, but ultimately abandoning, a Ph.D in Philosophy at Vanderbilt University he moved to London, Ontario, where he now lives with his wife. His first novel, The Darkness That Comes Before, has won several honors. Here’s R. Scott Bakker’s blog. The Second Apocalypse: The Prince of Nothing — (2004-2006) Bakker plans two follow-up duologies which take place many years later and involve only a few of the original characters. Publisher: Strikingly original in its conception, ambitious in scope, with characters engrossingly and vividly drawn, the first book in R. Scott Bakker’s Prince of Nothing series creates a remarkable world from whole cloth — its language and classes of people, its cities, religions, mysteries, taboos, and rituals — the kind of all-embracing universe Tolkien and Herbert created unforgettably in the epic fantasies The Lord of the Rings and Dune. It’s a world scarred by an apocalyptic past, evoking a time both two thousand years past and two thousand years into the future, as untold thousands gather for a crusade. Among them, two men and two women are ensnared by a mysterious traveler, Anasûrimbor Kellhus — part warrior, part philosopher, part sorcerous, charismatic presence — from lands long thought dead. The Darkness That Comes Before is a history of this great holy war, and like all histories, the survivors write its conclusion. The Second Apocalypse: The Aspect-Emporer — (2009-2017) Publisher: Some twenty years have passed since the events narrated in The Prince of Nothing. Anasurimbor Kellhus now rules all the Three Seas, the first true Aspect-Emperor in a thousand years. The masses worship him as a living god, though a few, the Orthodox, dare claim he’s a walking demon. With Proyas and Saubon as his Exalt-Generals, he leads a holy war called the Great Ordeal deep into the wastes of the Ancient North, intent on destroying Golgotterath and preventing the Second Apocalypse. His wife Esmenet, meanwhile, remains in Momemn, where she struggles not only to rule his vast empire, but their murderous children as well. And Achamian, who lives as a Wizard in embittered exile, undertakes a mad quest to uncover the origins of the Dunyain. I believe it warrants mentioning in the beginning of this review that I find myself in a position where my own review might not be, well, very critical. 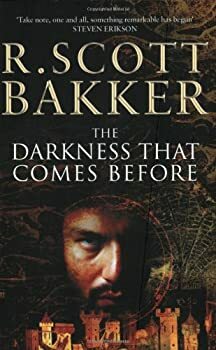 I have been holding off having to review R. Scott Bakker's The Darkness That Comes Before because, to put it bluntly, I love it so much that I don't think any review I could write would serve its purpose qua review. However, after some insistence from the powers that be — that would be the inimitable Kat Hooper, FanLit's founder and savior — I decided that maybe I did have something borderline cogent to say about it. 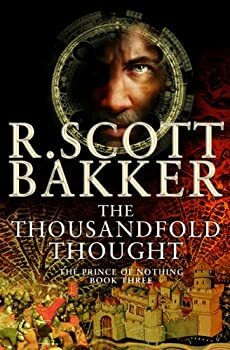 R. Scott Bakker's The Thousandfold Thought, the third book in his The Prince of Nothing series, was well written and drenched in enough details that you truly could see the picture the author painted. The most amazing thing has been to watch the characters evolve through different influences and to see characters that you liked become characters you could hate. 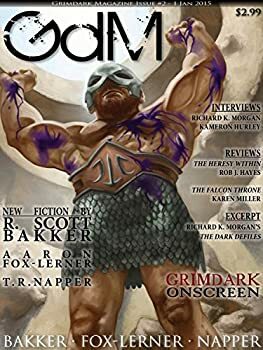 The opening story of Issue 2 of Grimdark Magazine, “The Line” by T.R. Napper, presents a picture in nobility. You might not think that at first, as the tale concerns George, a wrestler who makes a practice of breaking his opponents’ bones; but, you soon learn, that’s the least harm he can do to end a match. George is so good at his game that his wins come to seem too easy, and that’s where danger seeps in. The thoroughly corrupt regime that runs the “free zones” — places that seem anything but free to the majority of those who live and work there — has plans for George. What will George do in the face of the implacable foe ironically called Hope Corporation? The story is predictable and manipulative, but nonetheless somehow exhilarating and, at the same time, depressing to read. I’m curious to see what Napper will do as his writing experience and skills grow. 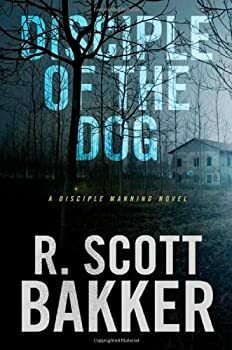 CLICK HERE FOR MORE BOOKS BY R. SCOTT BAKKER.